Dealer Philip Mould was among the bidders at Sotheby’s sale of the Yeats collection this week. 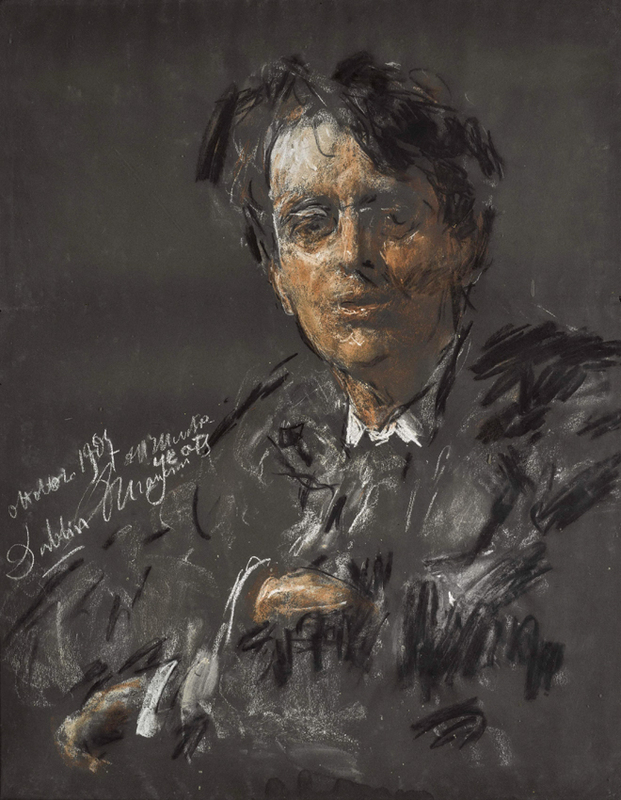 The London dealer and presenter of the BBC’s Fake or Fortune secured a chalk portrait of the poet WB Yeats. He saw off strong competition for the 1907 study as the work by Italian artist Antonio Mancini (1852-1930) went over eight times its £8000-12,000 estimate before it was knocked down at £90,000. The 23 x 18in (59 by 46cm) coloured chalks on paper was completed by Mancini in roughly an hour’s sitting according to the catalogue. Mould told ATG that he bought it for stock and is anticipating museum interest. Shortly after the auction, Mould posted the tweet below. Also bidding at the Yeats sale at Sotheby’s were a number of Irish institutions. Following an outcry by cultural figures in Ireland that important items relating to arguably the country’s leading artistic family would be lost to the nation, The National Gallery of Ireland bought 10 lots including portraits, sketchbooks, watercolours and photographs. 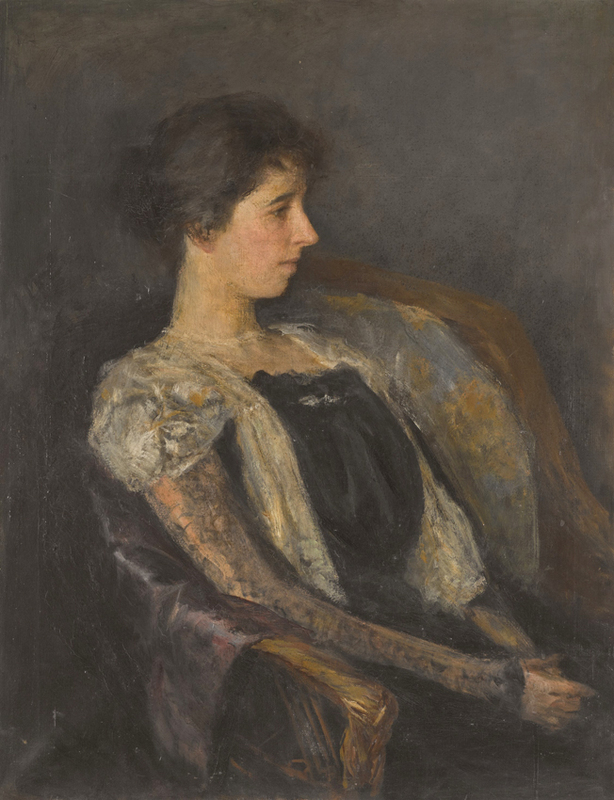 Among the gallery’s purchases was a portrait of Elizabeth Corbet ‘Lolly’ Yeats by John Butler Yeats (1839-1922) from c.1899 that took £42,000 against a £20,000-30,000 estimate and an abstract oil on board titled Crayfish by Anne Yeats (1919-2001) that overshot a £1500-2500 pitch and sold at £5000. Elsewhere in the sale, another portrait by John Butler Yeats, this time of the watercolourist Mary Balfour Herbert sold at £35,000 (est: 15,000-20,000). It was bought by the trustees of Muckross House – the Tudor-style manor house in County Kerry which was built by her and husband Henry Arthur Herbert in 1843. The 224 lot sale raised a total of £1.6m hammer (£2m including premium) with 196 lots (87.5%) selling on the day. The lot with the highest estimate however failed to sell – a group of 130 handwritten letters by WB Yeats spanning more than 40 years that was estimated at £250,000–350,000. 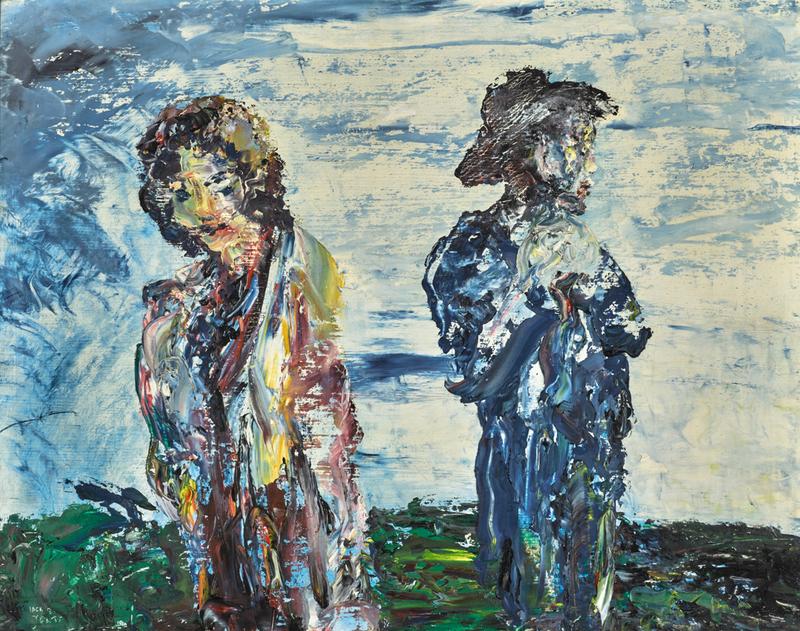 This meant the top lot was an oil on board by Jack B. Yeats (1871-1957) – The Sunset belongs to you from 1951 which sold to an anonymous buyer at £170,000 (est: £100,000-150,000). 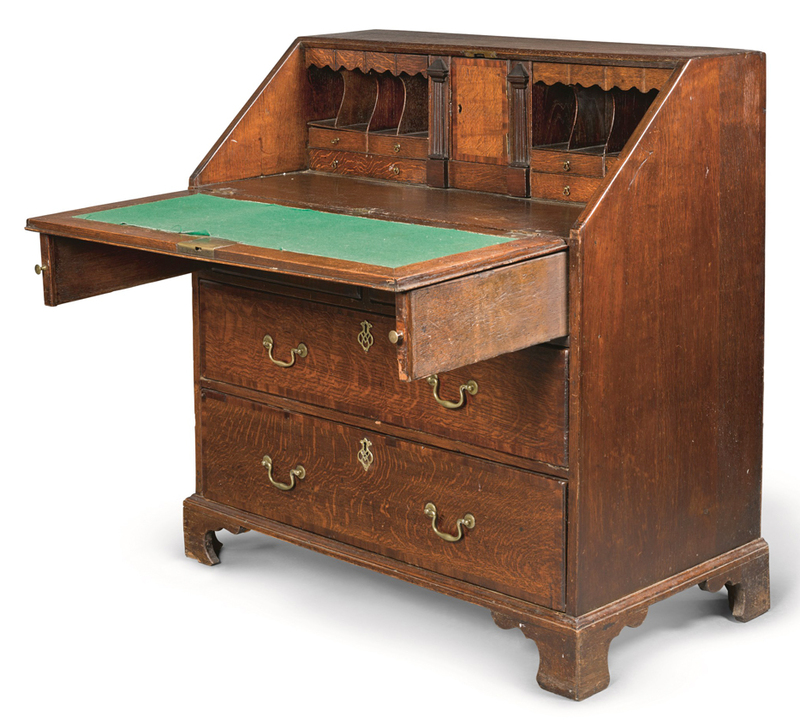 One of the strongest competitions came for a desk used by WB Yeats which fetched five times its top estimate when it was knocked down to a private Irish buyer at £150,000.